Our last Ofsted inspection was a short inspection in November 2018. The school continues to be Good, and has demonstrated strong practice and marked improvement. As the school has improved significantly since the last inspection, the inspectors have recommended that Ofsted return to see if the school can now be graded Outstanding. The report comments on our children’s behaviour, described as ‘impeccable’ and their ability to articulate clearly about their learning, what they like about the school and how they keep themselves safe – both online and when out and about. "results show improvements in all core subjects. Most pupils do better than their peers nationally." "In lessons, pupils have a positive approach to learning. Classroom activities have been improved, and pupils were observed during the inspection captivated by their learning. The inspector was impressed with the school’s results and how these high standards had been maintained over a number of years. He acknowledged that our whole school has consistently been in the top 20% of schools nationally and is often ranked much higher than this. 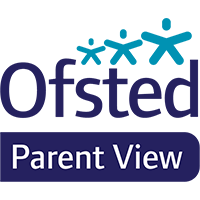 Follow this link to see the latest Ofsted report. and registered in England and Wales with company number 9896945.